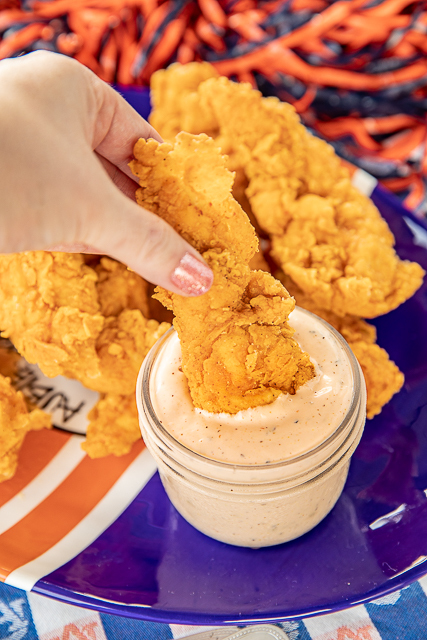 This Chicken Finger Sauce is the real deal!! 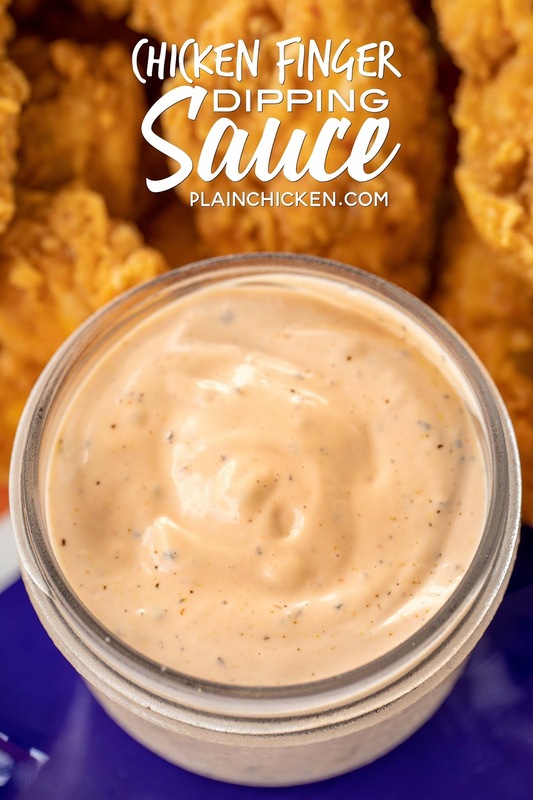 It is the PEFECT copycat recipe for Guthrie's, Zaxby's and Raising Cane's sauce. I am SO excited to have this recipe!!! 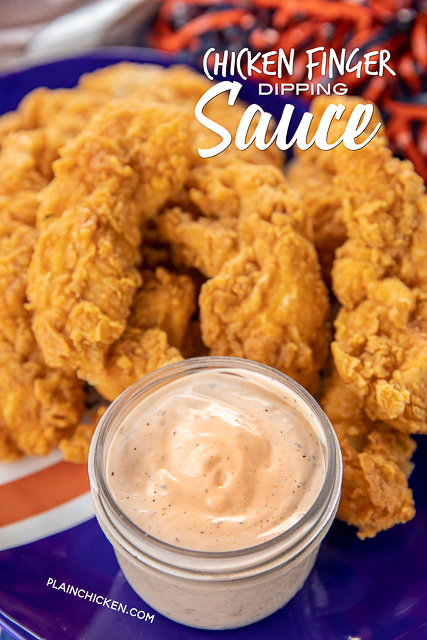 I love that I can have as much of this yummy sauce anytime I get the craving. I got this recipe from a local chicken finger place that is a knock-off of Guthries/Zaxby's/Raising Cane's. They had a newspaper clipping from the paper with the sauce recipe. O-M-G! I did want any good food blogger would do, I took a picture and made it at home!!! I did make one change to their recipe. I added black pepper. They don't use black pepper in their sauce. Gutherie's/Zaxby's/Raising Cane's all use black pepper, so I added a generous amount to the sauce. This tastes just like all the famous chicken finger joints sauce. This might be my favorite recipe find of all time! I suggest making this the day before you are going to serve it so the flavors have time to come together. I also recommend using good quality mayonnaise, Heinz ketchup and Lawry's seasoned salt. 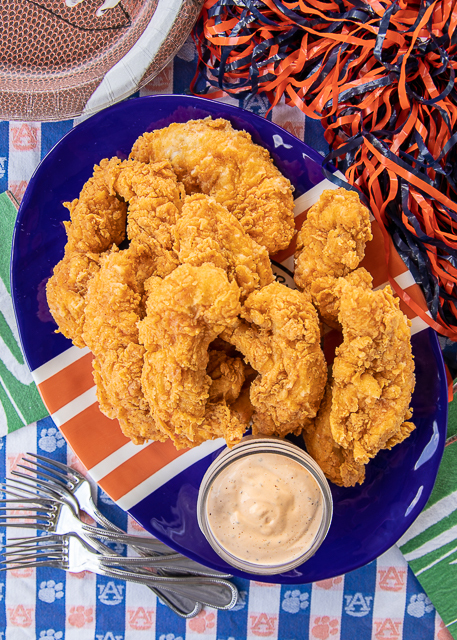 Make this the next time you have chicken fingers. You'll LOVE it!! Adjust seasonings to your own taste. Start with amounts listed and add more until you get it to your liking. Do you think it would still be good with sugar free ketchup? I have not made this with sugar-free ketchup, so I cannot say with certainty that it will taste the same. As always, please use your best judgment regarding substitutions and modifications. Yum! Love a good copycat recipe! Thanks for sharing it! Thank you! How long will this keep in the refrigerator after it's made? How long will a batch last in the fridge - days, weeks? Or is it best to make this as needed per meal? You are officially my hero!!!! We love Cane's around our house (only b/c Guthrie's hasn't made it's way to TX yet!)! Will be making some to day for the game tomorrow!!! BTW, where did you get your AU tablecloth??? LOVE IT!!! War Eagle!